Those who live with chronic neuropathic pain have this mindset: everyday just needs to be gotten through with as little pain as possible. At first glance, nothing seems wrong with this statement in fact for chronic neuropathy patients this statement sounds like a good one, but upon closer examination the statement seems to be lacking something – hope. Neuropathy is a painful condition that can limit a person’s ability, mobility and functionality but that does not mean that their life is over. Life may need to be readjusted somewhat but it does go on and there is hope for the neuropathy patient if he or she desires to look for it. What is neuropathy? 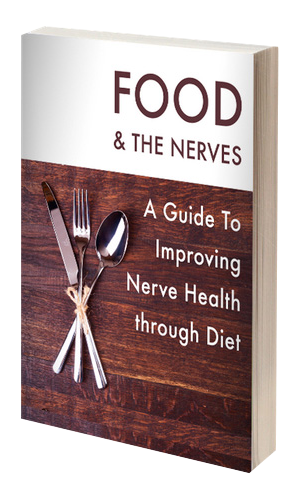 Neuropathy is a condition of the nerves that millions of men and women all over the world have as a result of some form of nerve damage along the peripheral nerves is a condition of the nerves that millions of men and women all over the world have as a result of some form of nerve damage along the peripheral nerves. Once nerve damage has happened, an individual begins to experience several odd and uncomfortable sensations such as: tingling, burning, numbness and needle like pricking when walking. Neuropathy has several different causes some of which are known and others that are still being unveiled. Because the damage to the nerve cells can be very painful it can limit the amount of activity a person sees therefore something has to be done. Neuropathic pain treatment is the only option a neuropathy patient due to their not being a known neuropathy cure. So making the best of neuropathic pain treatment will not only improve one’s pain levels but will also improve one’s quality of life and mobility. Sitting on the side lines of life is no way to live, something can be done neuropathic pain treatment can help manage the pain and giving neuropathy patients a second chance to a full and active life. There are several neuropathic pain treatment options available for those who are interested in getting back to the fun life has to offer. There are two main approaches to neuropathic pain treatment. Choosing the right treatment approach is important to insuring a healthy and happy life. Speak with your medical professional about the different treatment options available.